Net worth is one way--but not the only way--to measure your economic success. The net worth formula asks you to take your assets and subtract your liabilities or debts. The remainder is your net worth. The value of your assets is determined by how many dollars those assets would bring if sold in the marketplace. As you are aware, market value can go up or down. Income flow is another way to measure economic success. Income requires the presence of a productive resource that creates cash payments. Not all assets produce income. Every month when you go to the grocery store or when you pay the electric bill, you need a source of income so that you can write the check. If assets produce no income, you will have to sell some of the assets to meet your income needs. As you sell assets over time, you will have less of the assets left. You might do better to have a class of financial resources that produce a stream of income. 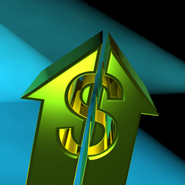 If an asset produces income, you do not have to sell the asset to meet your cash needs. In fact, you might be able to estimate how much of the income-producing asset you will need to create the monthly income you want. There is a formula that you can use to figure out how much of an asset you should own to provide income. If you have shares of a mutual fund that pay a monthly dividend, and you want $1000 cash payment each month, you can use the annual dividend yield to help determine the approximate amount of the fund you should own. For example, a mutual fund has an annual dividend yield of six percent, and you would like to know how much money you would need invested in the fund to produce $12,000 per year or $1,000 per month income. If you divide $12,000 by.06, you see that $200,000 is the answer. If you wanted $2,000 per month or $24,000 per year, you would need $400,000 invested. Of course, the dividend yield is subject to change. But you have a useful guesstimate. For most people, work is the engine that provides monthly income. However, there may come a time when you prefer not to work or you cannot work. You must plan ahead to have an alternative source of income. Dividends are an excellent source of income. While dividends are subject to change, any single company may increase, decrease or suspend dividend payments based on business conditions. Nonetheless, there is a reasonable expectation of continuous income flow from a large diversified portfolio of dividend-paying stocks in a mutual fund. If you are able to accumulate shares over time, you can work toward the goal of building enough shares to satisfy your income needs. In the hierarchy of economic necessity, having sufficient monthly income to pay expenses ranks at the top. Knowing that there will be a dividend check paid to you each month can be very reassuring. As always, investigate any investment possibility using your due diligence and available information.